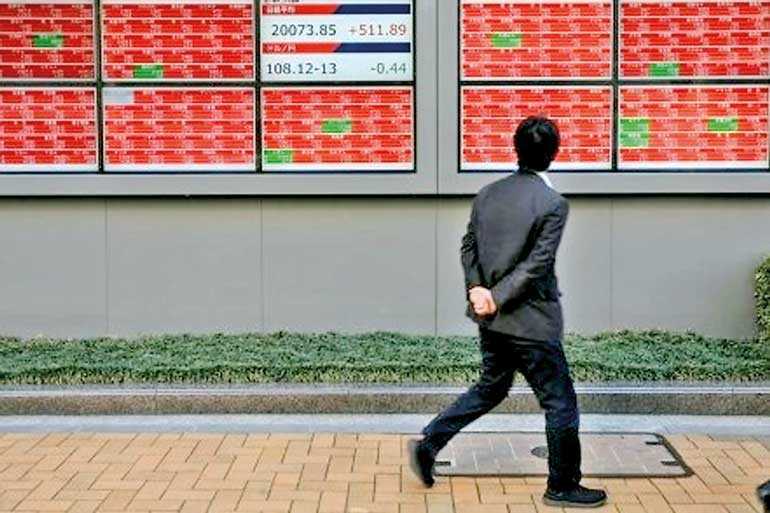 TOKYO/SYDNEY (Reuters): Asian shares were subdued on Wednesday after US President Donald Trump’s State of the Union address failed to give markets fresh trading catalysts, while the Australian dollar nosedived after the central bank opened the door to a possible rate cut. Spread-betters expect London’s FTSE and Frankfurt’s DAX to respectively drop 0.2% and 0.1% when they open, while seeing a slightly larger fall for Paris’s CAC. MSCI’s broadest index of Asia-Pacific shares outside Japan was barely changed with China and several other markets in the region still closed for the Lunar New Year holiday. The range in which the index traded was limited to just 0.80 points, the narrowest since Dec. 25 last year. Australian shares gained 0.3%, rising for the third session, while Japan’s Nikkei closed up 0.1%. E-Mini futures for the S&P 500 last were a tad higher. The Australian dollar shed nearly 1.3% to hit a one week low of $0.71435, putting it on course for its biggest intraday drop in more than five months. The sharp selloff in the Aussie came after Reserve Bank of Australia (RBA) Governor Philip Lowe said the bank remained optimistic about the local economic outlook but acknowledged rates might fall if unemployment were to rise and inflation stay too low. Chris Weston, Melbourne-based head of research at foreign exchange brokerage Pepperstone, said the comments show the RBA will react when it needs to though the bar to cutting rates continued to be quite high. Trump vowed in his State of the Union speech on Tuesday to build a border wall that is a source of a deep partisan divide and said Democratic attempts at “ridiculous partisan investigations” could damage US prosperity. Trump used part of his address to offer a spirit of compromise, particularly in areas such as lowering the price of prescription drugs and funding a $1 trillion upgrade in US roads, bridges and other infrastructure. “We got a lot of positive rhetoric — a lot of backslapping, or self-backslapping if you like. Because of that, we just had a really subdued reaction.”Senior US and Chinese officials are poised to start another round of trade talks in Beijing next week to push for a deal on American intellectual property and avert a March 2 increase in US tariffs on Chinese goods, two people familiar with the plans said on Tuesday. Wall Street had already racked up gains courtesy of strong corporate results from Europe and the US, including a blockbuster from Estée Lauder Cos Inc.The Dow ended Tuesday up 0.68%, while the S&P 500 gained 0.47% and the Nasdaq 0.74%. The dollar held up well thanks in part to a retreat in sterling, which hit a two-week low at $1.2923 in early trade after poor survey data and uncertainty about Brexit talks pushed it below a key market level. Sterling has come off about 2% from its 2019 high of $1.3218. Against a basket of currencies, the dollar was firm at 96.110 and well above last week’s low of 95.162. It fell 0.2% on the yen to 109.76. The euro slipped to $1.1394 after a survey showed on Tuesday that euro zone businesses expanded at their slowest pace since mid-2013 at the start of the year. US crude futures edged up 7 cents to $53.73. Brent was also up 7 cents at $62.05. Spot gold was a shade lower at $1,314.30 per ounce, about 0.9% short of its recent peak at $1,326.30.